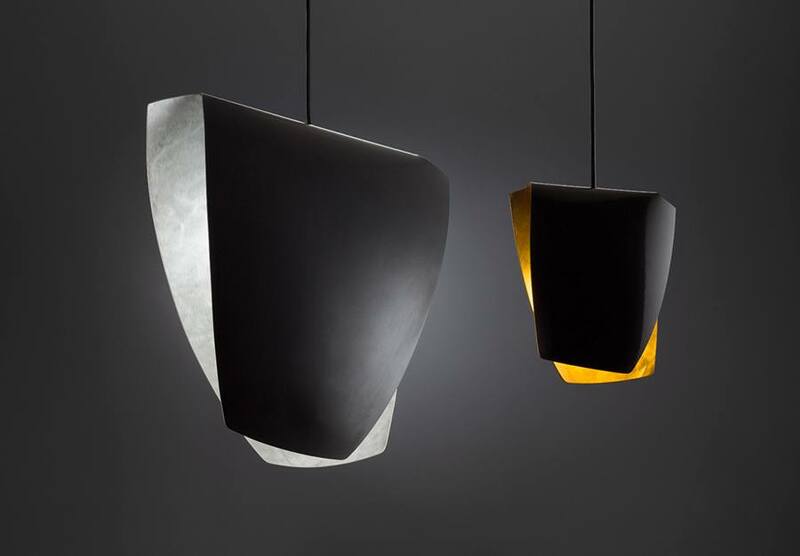 Kimono maintains Robert Foster’s experimental and fresh approach to design and was inspired by a one-off sculptural light that he made in 2002. Kimono works with the playful nature of folding a simple shape in half and utilises the two coloured surfaces to enhance the flipped character of the final form. There is a Japanese aesthetic to the shade, hence the name Kimono. The anodised inside surface has been hand finished to produce a an unique pattern, that references the texture found on handmade Japanese fabrics and rice paper. 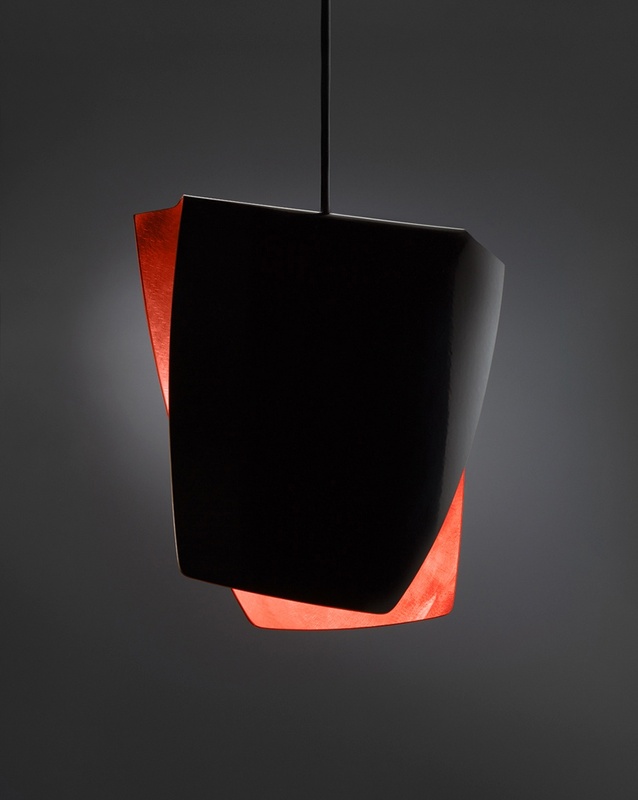 The Light from the globe illuminates directly below the shade, and to the sides the reflective anodised internal colours (red, gold and silver) enhance the form and juxtaposition between the black curved surfaces. Materials: textured black powder coating outside and choice of silver, gold or red anodising inside, compact fluorescent globe.